The danger of complete digital immersion is essentially the inability to distinguish fantasy from reality. Ernest Cline’s novel Ready Player One serves as a love letter to any geek-inclined person who grew up in the 80’s. You’ve got movie references like Wargames and The Last Starfighter, musical nods are sprinkled throughout (Oingo Boingo, Billy Idol), then there are the classic anime references from Robotech to Voltron, and a tip of the hat to classic tabletop gaming like Dungeons and Dragons. Last, but not least, various facets of arcade culture make appearances, such as Galaga, Defender, Asteroids, and Joust to round out this dystopian sci-fi tale. The film did not stray too far from the source material, as it replicated the novel’s fundamental reliance on stitching together myriad references of a bygone era. Critics of the book have complained that the story is a poorly written pastiche of nostalgia and not much more. As previously mentioned, the film does not deviate too far from this concept. Eighties enthusiasts like myself certainly enjoy the opportunity to revel in and marvel at all the super awesome cultural artifacts from our collective childhood. It certainly begs the question, though – is recognizing, celebrating, and cataloging all of the 80’s nods ENOUGH? Is there sufficient substance to flesh out the overall entertainment value? Does that even matter? In asking these questions, I have to circle back to previous pieces I’ve written about summer blockbusters and B-movies. In the former, I said, “We don’t ride roller coasters to ponder the ups and downs and sometimes jarring turns of life. We ride them because we pretty much just want to scream.” In the latter, I mused that “Sometimes we need to think about those impactful and compelling pieces of cinematic art, and sometimes we just need to be hit upside the head with awesomeness.” In other words, what blockbusters and B-movies have in common is their appeal to our basest, most primal urges. We’re talking reptilian brain, fight-or-flight kind of stimulation. There’s no higher order at work here, so any sort of executive functioning need not apply. Check your brains at the door, people, and don’t forget to pick them up on your way out! I think it’s fair to say that Ready Player One comfortably falls into the blockbuster category. This is hardly surprising, considering the director at the helm of the production is none other than Steven Spielberg, a man who is credited with being the catalyst of the summer blockbuster trend. This annual seasonal event arguably started on June 20th, 1975 with the release of Jaws, Spielberg’s masterpiece of oceanic terror. One thing’s for sure— Mr. Spielberg knows the essential elements of crafting a thrilling tale. This has been well established after such box office smashes including the Indiana Jones and Jurassic Park sagas, however, he is certainly known for more dramatic or cerebral productions as well (e.g. Lincoln, War Horse, Schindler’s List, The Color Purple). I’ve always felt it be an incredible feat that a director could create so visceral of a joy ride, and then turn around and present audiences with something more thought-provoking or historically relevant. 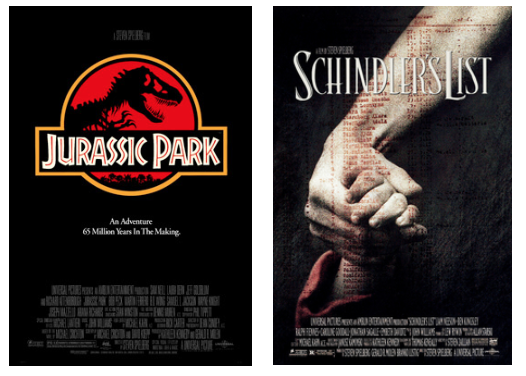 This was particularly striking in 1993 when both Jurassic Park and Schindler’s List were released, a remarkable creative achievement. Spielberg was also a solid choice to direct the film because he has generated significant content viewers desperately want to virtually experience, whether it’s flying the DeLorean from Back to the Future 2, or donning Indy’s iconic fedora and cracking his signature whip to swing across a chasm, or perhaps taking a flying moonlit bike tour, courtesy of E.T. Aside from his generous pop culture contributions, Mr. Spielberg has always been an avid fan of interactive entertainment and video games which, of course, figure prominently in the book and film. Let’s consider the story at the heart of Ready Player One. Is there anything substantial to be gleaned from the narrative, or is it just a fancy cinematic collage that’s been repackaged for modern audiences? Some might interpret the underlying message of the story to be a vague warning about the direction and evolution of interactive entertainment, as it has become the primary means by which people socialize, have fun, and even get an education. It’s really not a major stretch to believe we might vie for increasingly immersive experiences to escape the realities of climate change, overcrowding, and the threat of nuclear war. I previously discussed the pros and cons of Virtual Reality, which you can check out here. In that article, I pointed out how “technology opens doors to new degrees of immersion and ways to interface with the world; however, this usually comes with disastrous consequences.” Think about it—if all we ever did was plug into a digitized facsimile of our world, we’d never take the time to solve the issues that necessitated the escape in the first place! It would be as if Neo from The Matrix never took the red pill. In psychological terms, I would frame this as a tendency to over-rely on one method of coping when it behooves us to instead have a multitude of coping mechanisms at our disposal—especially when the time comes we are unable to implement our preferred activity. The inherent motivation to regularly visit The Oasis (or Ontologically Anthropocentric Sensory Immersive Simulation), the hyper-realistic, yet significantly augmented digital realm of Ready Player One, is that you can perform specific tasks to earn credits allowing you to customize the look of your avatar and purchase new weapons and vehicles. In other words, there’s a sense of developmental progression, which is inherently rewarding. It’s essentially a fully implemented system of Gamification, which is a theory that suggests applying principles of game design to non-game situations enhances learning, engagement, and productivity, among other things. Much like any other MMORPG (Massively Multiplayer Online Role-Playing Game), if you level up and accrue enough credits, you can create and participate in more exotic activities, upgrade your vehicles and gear, etc., and ultimately be seen as someone with more clout and status. 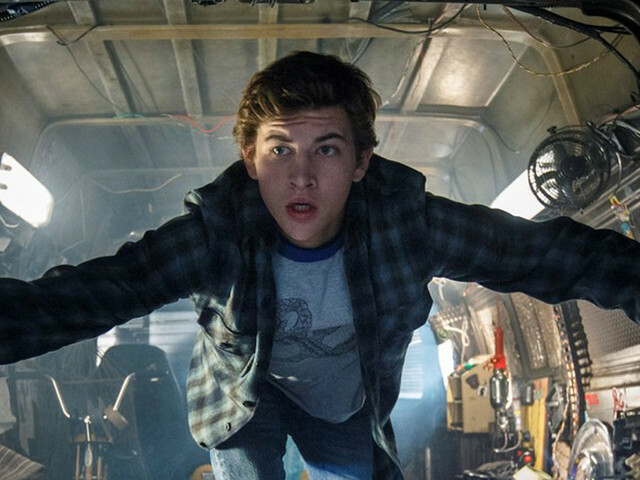 We see this development happen to Wade Watts, the hero of Ready Player One played by Tye Sheradan, when he becomes the first player to crack the code of the three “Easter Eggs” hidden in The Oasis by its creator James Halladay. Not bad for a kid living in a high-rise trailer park called, appropriately enough, The Stacks! A modern-day equivalent of cultivating digital social clout might be the way we endeavor to craft our social identities on various platforms like Facebook, Instagram, Snapchat, and Twitter. As we attempt to put our best foot forward and present various “highlight reels,” it tends to create a lopsided picture of reality that can sometimes reinforce negative feelings in others who are scrolling through various feeds, and lack something fun or novel happening at the moment themselves. This dynamic was referenced in the Black Mirror Season 3 opener “Nosedive,” starring Bryce Dallas Howard, wherein her character Lacie tries very hard to get “Likes” for her interactions with others to literally rank up her social mobility, which is intrinsically tied to the social media platform depicted in the episode. Her efforts ultimately come off as desperate and forced, and people started to see through her insincerity and down-rate her accordingly. This triggered a breakdown on her part, but if there’s any upside to that development, it’s that she finally tapped into some raw emotion that had been fervently suppressed for some time. Let’s hope we’re not moving in this direction, of one’s personal identity being inexorably linked with one’s social media, or even their virtual reality identity, as it would diminish the authentic social interactions which are so pivotal to our mental well-being. The danger of complete digital immersion is essentially the inability to distinguish fantasy from reality. 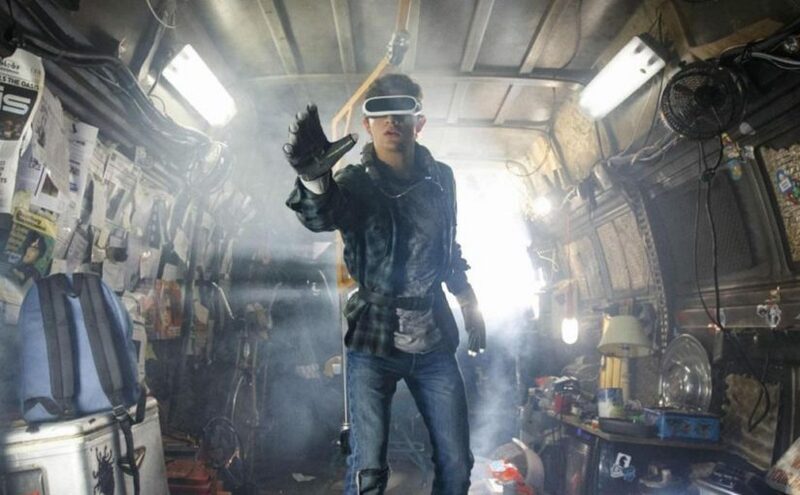 Ready Player One flirts with this idea when players look nothing like their avatars and demonstrate enhanced physical capabilities. For the most part, players DO seem to recognize and celebrate the pure escapism provided by The Oasis, but much like gamers of today, they spend more and more time in the virtual world until they lapse in handling their real-world responsibilities. It sets the stage for some slightly awkward interactions if you ever actually get around to meeting fellow players in real life. The book and the movie seem to suggest that players shouldn’t put too much stock in their avatars because they may completely lose themselves in the aesthetics, and ultimately fail to connect with what truly matters. I felt that the book and movie strove to find this emotional core, but never really succeeded. As it stands, the movie was a somewhat entertaining but ultimately disappointing hodgepodge of references that failed to amount to more than the sum of their parts. I guess it’s no coincidence that the OASIS acronym is synonymous with a fertile spot in the desert. In this case, the oasis is just a mirage—a heat, hunger, and thirst-induced byproduct of delirium brought on by a desire to connect with the past.